Sometimes, a phone can really surprise you. 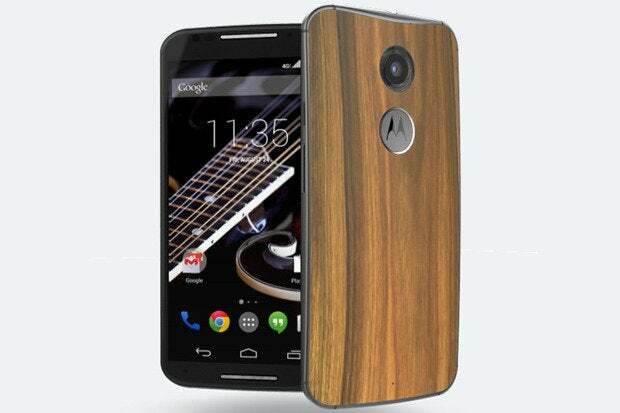 Just look at last year's Moto X. The phone bucked the trends of modern Android flagships, from its smaller-than-average size to its simple software and focus on real-world performance. As a result, the device delivered an exceptionally delightful user experience -- a cohesive package the likes of which Android had never quite seen. The Moto X may not have been the top seller of 2013, but it earned oodles of praise and topped more than a few "best of" lists. Now, with its recently announced second-generation model, Motorola is hoping it can recreate the magic while convincing more consumers to climb on for the ride. The new Moto X will go on sale sometime in September for $99 on contract from AT&T and Verizon or $500 unlocked from Motorola. I've been living with the phone for much of this month to see what it's like to use in the real world -- and whether it's worth the cash. The new Moto X presents an interesting duality: In many ways, the phone seems pleasingly familiar, as it retains most of the qualities that made the first-generation model so special. At the same time, however, it feels like a very different device -- and much of that comes from its size. No two ways about it: Compared to last year's model, the new Moto X is decidedly big. Motorola gave in and jumped on the bigger-must-be-better bandwagon this go-round, and the phone consequently doesn't fit into your hand as naturally or comfortably as its predecessor. As someone who loved the ergonomic nature of the original Moto X, I can't help but be slightly disappointed by that change. The new Moto X (left) next to the original (right). It's all relative, though: Remember, the original Moto X was unusually small for a flagship Android phone. While the new model seems large compared to that standard, it's much more in line with the majority of high-end devices on the market today. In fact, the phone is a hair narrower than Samsung's Galaxy S5 and significantly smaller than the HTC One (M8). So setting aside the inevitable first-gen comparisons, the new Moto X is quite a nice device in terms of its form. At 5.5 x 2.9 in. and 5.1 oz. (and 0.15 to 0.39 in. in depth, depending where on the device you measure) it's reasonably sized for a modern flagship, and is relatively light and comfortable to hold. The phone is actually a mere 0.2 oz. heavier than its predecessor despite being nearly half an inch taller and a third of an inch wider; it's also lighter than both the Galaxy S5 and the HTC One (M8). The main reason for the size increase, of course, is to allow for a larger screen. The new Moto X packs a 5.2-in. AMOLED display, which provides an impressive amount of screen real estate for a device of its class. For comparison, the Galaxy S5 has a 5.1-in. display while the HTC One (M8) has a 5-in. panel. The new Moto X's 1080p, 423ppi display looks fantastic both indoors and out: Colors are bold and brilliant, images are crisp and text is easy to read. As is typical with AMOLED screens, contrast and saturation are especially high and blacks are satisfyingly deep, though whites are slightly less pure than what you'd see on a comparable LCD display. The second-gen Moto X sports a new metal frame that separates the display from the back panel. That eliminates the awkward seam seen on the original model; it also makes for a more premium and sophisticated vibe. It's a welcome addition that goes a long way in elevating the phone's appearance. The new Moto X has a metal frame. Beyond that, the device's look and feel is largely up to you: With Motorola's online Moto Maker customization tool, you can create a Moto X with your choice of plastic backs, real wood backs or real leather backs (the latter two will add an extra $25 to the phone's cost). You can also pick a white or black front for the phone and select from 10 accent colors for the device's trim. That level of choice and customization is a clever option you won't find for any other smartphone. I've had a chance to check out the new Moto X in all three of its available materials, and each configuration is appealing in its own way. The plastic backing is the same soft-touch material used on the original Moto X; it feels great and comes in a variety of color choices. The wood, meanwhile, is elegant, unique and just plain cool -- and it actually works better with this new design than it did with the original, thanks largely to the presence of the new metal frame. The leather is perhaps the most unusual of the materials -- and to be clear, we're talking genuine leather here, not the tacky faux-leather plastic popularized by a certain other Android manufacturer. It's an interesting and distinctive texture to have on a phone, though I am a bit worried about how it'll wear over time; I can already see small scuffs and dings on the review unit I have in front of me. The new Moto X is made out of three different materials: (from left to right) leather, wood and plastic. With all of the materials, the new Moto X's back is gently sloped, making the phone feel thin and manageable. The trademark Motorola "dimple" is present on the upper part of the device's back, though it's far more pronounced and less a natural part of the design than it was on the first-gen model. Still, it's a distinguishing touch and makes for a nice place to rest your finger while using the phone. The new Moto X has one large speaker on the bottom of its face. (At first glance, you might think there's a second speaker on the top of the phone's face, but that's actually just the earpiece.) Audio played through the phone is loud, clear and sounds surprisingly full. It's not quite at the level of the exceptional front-facing stereo speakers of the HTC One (M8) -- what phone is? -- but that outlier aside, it easily delivers the best audio quality I've heard from a mobile device. You can pore over the new Moto X's specs all you want -- for the record, the phone has a 2.5GHz quad-core Qualcomm Snapdragon 801 processor along with 2GB of RAM -- but what matters is that the device is fast. Really fast. The new Moto X is speedy and fluid as can be, with smooth animations, near-instant app switching and super-snappy Web browsing -- even with multiple tabs open. The first-gen Moto X was no slouch, but the new model is often a second or two faster when it comes to tasks like loading a Web page or pulling up the on-screen keyboard. It's a subtle difference, but it's apparent when you're studying the two phones side by side. Also noticeable are the new Moto X's improvements in the realm of stamina: With moderate to heavy use -- as much as three to four hours of screen-on time -- I've consistently been able to make it through a full day without running out of juice (though I have sometimes cut it close). It's by no means the best battery life I've seen on an Android phone, and a little more staying power would go a long way, but it's a marked improvement over what I've experienced with the first-gen model. For most users, most of the time, making it from morning to night shouldn't be a problem. The Moto X's 2300mAh battery isn't removable and the phone doesn't support wireless charging -- possibly because of the varied and unusual materials used on the device's back -- but this new model does support a new "turbo charging" option that promises to give you an extra eight hours of use with just 15 minutes of charging. Intriguing? Absolutely. But there's a catch: You have to buy a special $35 Turbo Charger accessory in order to take advantage of the functionality. Given the fact that the Moto X is half the cost of other flagships on contract and $100 to $150 cheaper unlocked, however, I suppose the additional cost is forgivable. The Moto X ships with 16GB of internal storage; a 32GB option is also available for an extra $50. The phone does not have a micro SD slot for external storage. I've been testing the Moto X on AT&T's network and have had no issues whatsoever with reception or call quality. People with whom I've spoken have sounded loud and clear, and have reported being able to hear me just fine. Data speeds have also been good and typical of what I expect to see from AT&T's LTE network in my area. One of the most common gripes with the original Moto X was the underwhelming quality of the phone's camera. Motorola may not be known for excelling at smartphone imaging, but I'm happy to report that the new model delivers some significant improvements. First of all, the Moto X's camera setup is the easiest and most pleasant to use of any Android device out there. You can open the Camera app at a moment's notice by twisting the phone twice in your hand -- a clever gesture that can be a real lifesaver when a photogenic moment occurs. The app itself is also delightfully simple: The whole screen acts as a viewfinder; you just touch anywhere on the display to focus and take a photo. You can access a handful of settings by swiping in from the left of the screen -- options for adjusting the image resolution, taking panoramic photos and enabling a more precise method of controlling focus. There are also separate buttons for recording video and switching to the phone's 2-megapixel front-facing camera. But the app favors simplicity and ease of use over advanced controls, and for the vast majority of smartphone photography, I think that's a very good thing. As for the photos themselves, the new Moto X's 13-megapixel camera is capable of capturing some really great-looking images. In general, the phone's photos tend to be more vibrant, detailed and true-to-life in coloring than what its predecessor produced. A sample of a photo taken with the Moto X. That said, the phone's photos certainly aren't perfect: I've seen occasional instances of overexposure, for example, and when I zoom into images at their full size on a computer, I can detect some areas of quality loss (which, to be fair, is the case with pretty much every smartphone camera I've tested). The camera also frequently struggles in low-light situations. All in all, I'd say the device's imaging quality has progressed from okay in its first generation to good -- though not excellent -- in its second. On the plus side, the new Moto X is satisfyingly speedy at snapping pictures -- noticeably faster than its predecessor, with little to no lag between photos. It has a handy burst mode, too, in which you can hold down your finger anywhere on the viewfinder to take multiple rapid-fire photos. In an interesting new twist, the phone automatically takes extra pictures in the background when it senses that your subject is moving and might be blurred or out of frame; when that happens, the device offers you an alternate image as an option in the photo gallery. It's a cool idea and has actually come through for me on several occasions. Another neat new touch is an HTC-reminiscent feature called Highlight Reel. It automatically groups together related photos and video clips you've captured and then stitches them together into short video montages. The phone's Gallery app makes it easy to tweak the montages to adjust their length, add or remove specific content and add or remove background music. With a couple of taps, you can then save the videos as MP4 files and upload them anywhere you like for sharing. Speaking of video, the Moto X can record at 1080p resolution -- with or without slow-mo -- as well as at Ultra HD (4K) resolution. All that hardware stuff is fine and dandy, but where the Moto X shines the most is in its software. Unlike most Android manufacturers, Motorola doesn't misguidedly try to "differentiate" its devices by tacking on clunky skins, gimmicky features and arbitrary UI modifications. Instead, the company sticks with Google's clean and intuitive core Android interface and sprinkles some useful features on top of it -- things that actually add meaningful value without requiring compromise. For anyone who's used the first-gen Moto X, many of these features will be familiar. There's Moto Display (formerly known as Active Display), which causes the current time and any pending notifications to flash on the phone's screen periodically as well as anytime you pick up the device. You can then quickly deal with or dismiss notifications by swiping your finger across the screen. The feature has grown even smarter with the new model's implementation: Thanks to a series of sensors on the phone's face, you can now make the time and notifications appear by simply waving your hand over the display -- as high as 10 inches above it. It's worked flawlessly during my time with the device, and it makes an already handy feature even more useful. Moto Display also now allows you to interact with multiple pending notifications instead of only the most recent one, as was the case with the first-generation device.